Words hold incredible vibrations. Saying 'love' brings the universal vibration of love into the world. Similarly specific word like syllables joined together can invoke powerful vibrations to do specific jobs. The system channelled by Shabdan includes terms that manifest light, love, peace and other powerful tools such as aligning the spirit easily to the physical body. You cannot cause any harm by saying these vibrational phrases. Though it is not necessary, the phrases can be repeated many times over. This phrase aligns your spiritual body to your physical body in seconds. Often when a healer gets too hot channelling energy, their spirit is out of alignment with the physical body so that any excess energy cannot be grounded into the earth. A person receiving healing is less able to absorb the energy when out of alignment in this way. If they look spaced out at the end of a healing session, get them to say the phrase and gently align their spirit once more. Saying Garusan grounds you into Mother Earth. It sets up a clockwise spiral from the sacral chakra for females and a clockwise spiral from the base chakra for males, into the heart of Mother Earth. A powerful and easy connection to make. Use it in conjunction with the above phrases. Spiritual Technology is the phrase coined by Shabdan and Shastra to describe the incredible power held in spiritual symbols that, when combined, can access extremely high levels of vibration coming from Source, or the One State, to bring powerful healing for all realms in the Earth. Shabdan first discovered the power of symbols when he channelled Ascension Reiki during the nineties. His guides showed him that, when an attunement was given, fine healing vibrations could be accessed by tracing over symbols or saying their names. 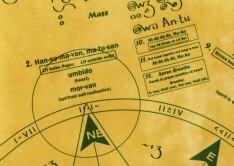 Through the process of developing the 'Wheel of Inner Health' (whose matrix now forms the basis of SoNa Radiance), Shabdan began to realise that it was possible - at the level of spiritual connection that he was now able to access - to link with a wide range of tools without the need for an attunement. As Shabdan grew spiritually he began to remember that these symbols are a part of his keys and that he could access powerful healing vibrations in Creation through them. Through combinations of symbols placed within a double circle, which is actually a representation of a twelve-stranded clockwise spiral of light coming from Source into the earth, doorways can be opened into the Angelic and Spiritual Realms. The double circle, one of the 19 Ascension Reiki symbols, is called eatu-na-vey and holds the vibration of ascension. The tools Iona Light offers have been brought forward at this time to assist us in healing more easily. They help us to create energetic pathways within ourselves to the Spiritual realms and allow us to access very pure healing vibrations. If used on a regular basis, substantial feedback from clients confirms that they can impact spiritual growth positively and to a significant degree. The Water Cleanse tool and the vibrational or light language offered on this page are for you to try, so that you can experience the effect of spiritual technology. Shabdan and Shastra use many different tools on their workshops to help people to release energy blockages, fears and so on and to access the higher dimensions. Through this, the masters, angels and your guides can more easily access you and help you to heal. Experience spiritual technology for yourself. Try out this Water Cleanse tool by printing out the linked page. Do a 'before and after' taste test to see the difference the Water Cleanse makes. Take a small glass of ordinary tap water, taste it, then place it on the Water Cleanse matrix for 5 seconds. Most people do notice a difference in the taste of the water after the matrix has de-patterned it. Click here to open the page. 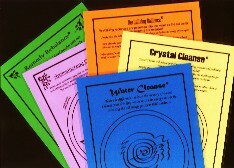 An updated laminated version of Water Cleanse in A4, A5 and pocket sizes is available to buy (see the tools page). Browse www.shabdan.com - click 'healing info' under the Information tab on the main menu.